Today I am going to review a product from a Herbal Brand Prakriti Herbals . Prakriti Herbals is a brand which prepares herbal skin care and hair care products . It was founded in the year 1995 by Ms Neeta Addapa . 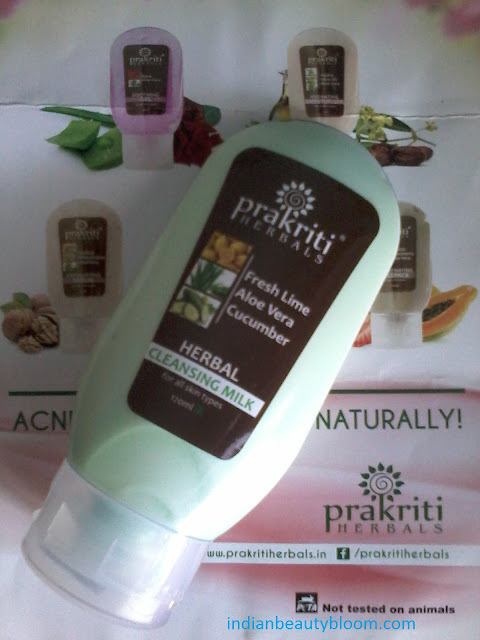 The first product from this brand which i have tried is Herbal Cleansing Milk with Fresh Lime , Aloe Vera and Cucumber . The product comes in a good quality plastic tube from which it can be easily squeezed out and used , the pack is travel friendly , can be easily carried in a bag or purse , so its packaging is excellent . One needs to apply this cleansing milk on face and neck and massage it in a circular motion then one needs to wipe it off with a moist cotton swab .Then one needs to wash their face with water . The product claims to remove all traces of facial and eye make up , its suitable for all skin type , can also be used daily for removing dirt and oil from face . 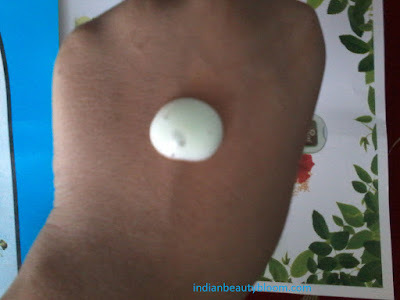 Its a light green clean color thick cleansing milk with a nice fragrance . I have used this product and i liked it , it removes dirt ,oil and make up from face and makes the face clean and clear . 2.Contains all natural ingredients , does not contains any harsh chemicals . 7. A Vegan product , Not tested on animals . Availability might be an issue as its available only on online stores like amazon.in , flipkart.com .